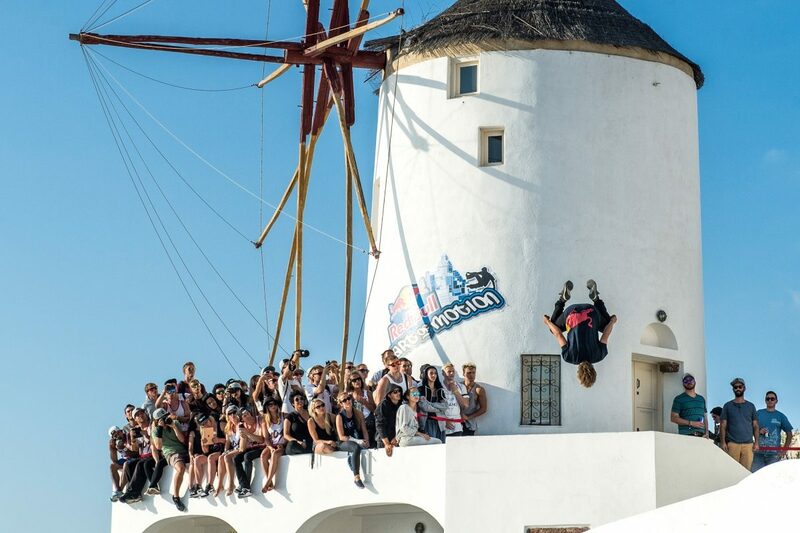 On October 1st, the famous Greek island welcomes Red Bull Art of Motion for the 6th year. 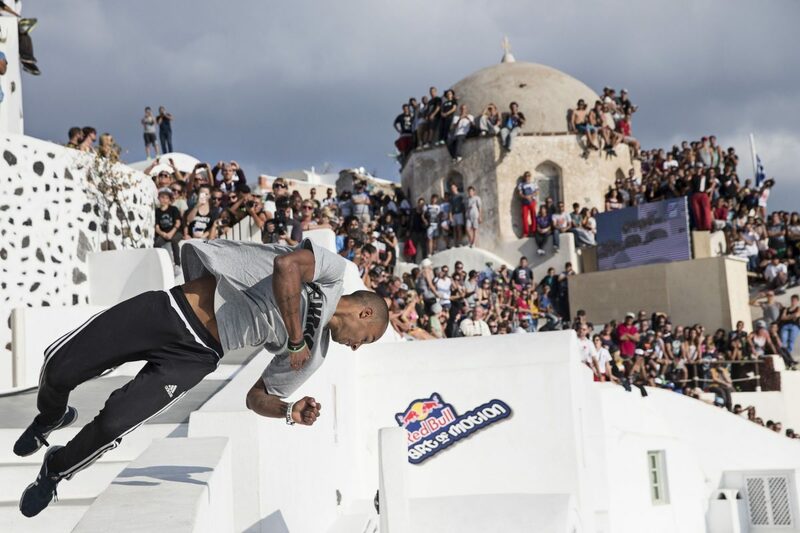 The most prestigious freerunning competition in the world returns in Santorini with an impressive line-up of 18 professionals as well as amateur athletes. The local hero, Dimitris “DK” Kyrsanidis, will try to defend his 2015 world title against Pavel Petkuns from Latvia. Pasha is “The Boss” in Santorini, he has two wins in 2011 and 2012 and has missed the podium only once (2013) the past 5 years! 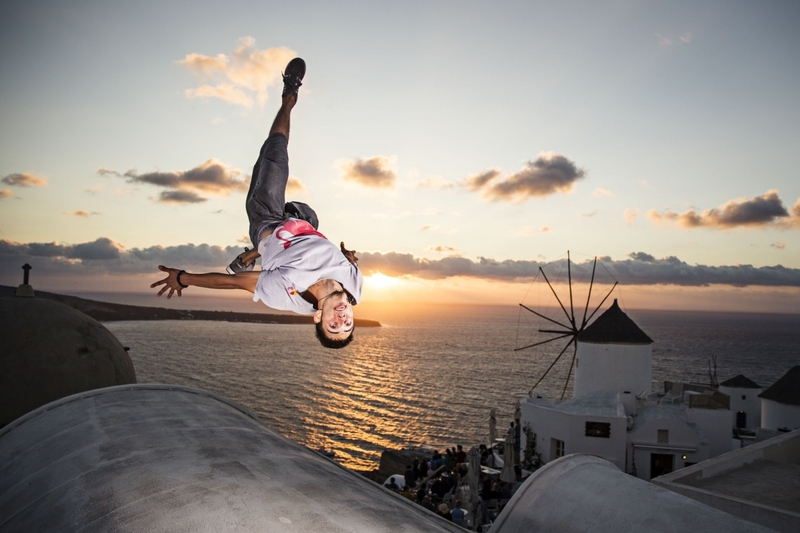 Furthermore, Jesse Peveril from Canada, 3rd on 2015, along with Alex Schauer (AUS), Yoann Leroux (FRA) and Alfred Scott (USA) will definitely through their best tricks and runs to claim the freerunning throne. But Red Bull Art of Motion always holds surprises! Seven talents made their way to the main event through the Online Qualifier. Some of them we’ve never seen competing before, and they could turn things upside down with their thirst for the win! Among them is 2014 and 2015 competitor Pedro León Gómez (ESP), Pamela Forster (AUT) and Lynn Jung (LUX). 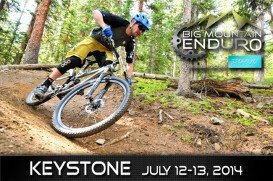 Five more athletes will earn their spot through the Onsite Qualifier! 5 more athletes will complete the line-up after they convince the judges for their skills in the Onsite Qualifier in Oia, on September 29. The judges, Anan Anwar (THA) for creativity, Gabriel Nunes (USA) for difficulty, Sergio Cora (ESP) for flow, Kie Willis (GBR) for execution, Marcus Gustafsson (SWE) for overall appearance and head-judge Patrick Morawetz (AUT) will have a hard time deciding who the world’s top freerunner is! Find out more on RedBullArtofMotion.com and catch all the action LIVE on Red Bull TV on October 1st! 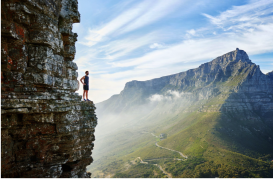 Act 2 of the Extreme Sailing Series 2016 is setting off in about a week. On the 30th of April, the impressive fleet of GC32s will be racing in China’s Olympic City of Gingdao.